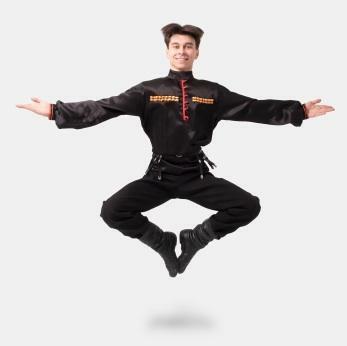 The Russian folk dance 'Troika' is a historically important Russian dance. While the Russian dance world may be best known for the famous ballet dancers and famous choreographers that were born and began their careers in Russia, the Russian dances themselves have also contributed a great deal to the dance world. The Troika is just one of several Russian cultural dances that have shaped dance in Russia, and subsequently all over the world when some of Russia's greatest dancers left Russia to dance elsewhere. Several Russian folk dances exist, but the Troika is well known for being a 'trio' dance. Traditionally, two women and one man performed the dance together; however, it is more and more common to just see trios of people performing the dance, most often three women. Alternatively, you will see groups of people performing the dance with several groups of three performing at once. In some of these trios there are three girls, and in others, one boy and two girls. The bottom line is that the one man and two women aspect of the dance has faded into the history of the dance. Aside from this characteristic pairing of dancers, the other features of the Troika are the rhythms and the horse-like steps. Troika dances alternate from a faster to a slower rhythm, and go back again, keeping the routine interesting for the audience and providing variety for the dancers. The word 'troika' means 'three horses' in Russian, which makes clear both the trio of dancers and the copying of horse-like movements in the dancers' steps. Imagine a horse pawing at the ground, jumping from one foot to another, and moving very quickly from one spot to another. These are some of the attributes that make people think of horses when they see the Troika danced. If you're having trouble imagining what a 'horse dance' might look like, check out the third video below, the 'Russian' number from The Nutcracker. Demonstration Troika: students of a dance school demonstrate how the Troika is done. Although not in costume, these dancers have learned a well-choreographed Troika number, making this a nice video to analyze some of the movement patterns and some of the steps even though the look of the whole dance is not very authentic because the costumes are missing. A Russian group of dancers showing off some of the steps and rhythms of the Troika are featured in this video. This group performance is full of energy and beautifully performed. Although it does not follow the traditional two women with one man format of the Troika, this dance number includes some traditional elements from it. In The Nutcracker there are several dances in Act II which are ethnic dances from various regions. Among the Arabian and Spanish dances you can also be delighted with a Russian dance number. If you watch this version of it, performed by a Russian ballet company, you can see many elements of the Russian folk dance Troika shining through it. Not only is it performed by a man and two women, but a lot of the steps that the dancers take resemble a horse's movements. Like the previous Russian dance clip, you can feel an incredible amount of energy that comes through the music, making the dance into an energizing experience both for dancers and for the audience. Not only has the Russian Troika traveled the world, for example in The Nutcracker, but several other cultures have an equivalent of the Troika in their own repertoire of cultural dances. For example, in Cajun culture a dance with the same name and similar steps exists, which may have originated in Paris under Russian influence. The dance has traveled the world and is recognized on several continents as a staple of Russian folk dance.